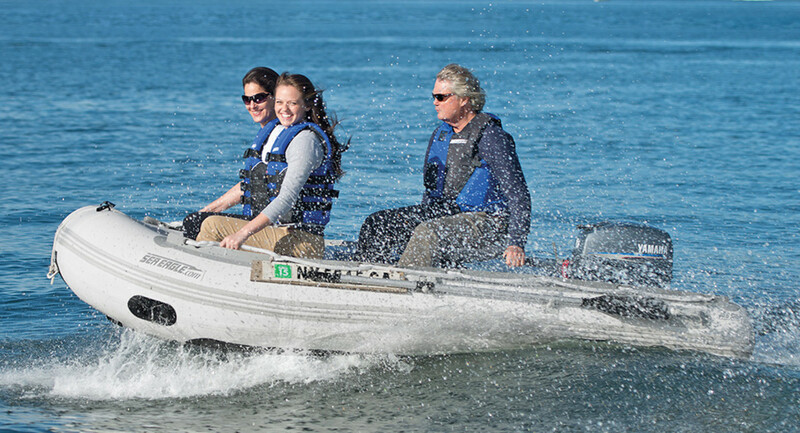 At 10 feet 6 inches, this Sea Eagle inflatable is designed as a lightweight ship-to-shore tender for smaller yachts, with a load capacity of five adults or 1,200 pounds. 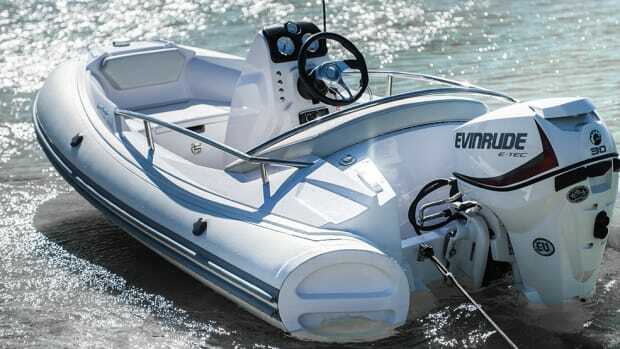 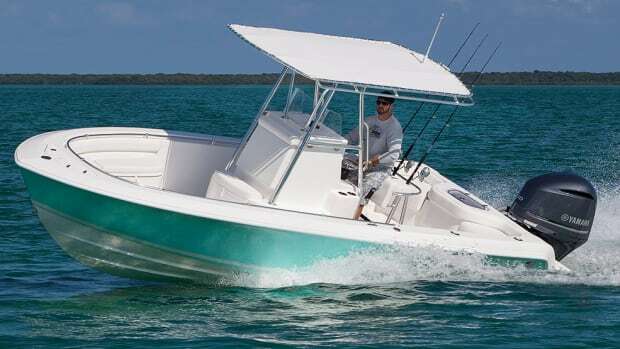 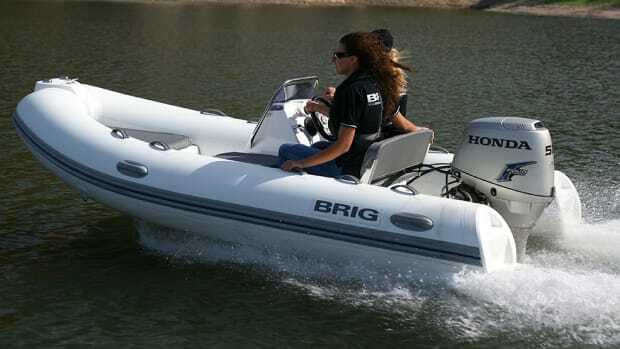 The rounded bow maximizes interior space for cargo and people and creates less drag for speed. 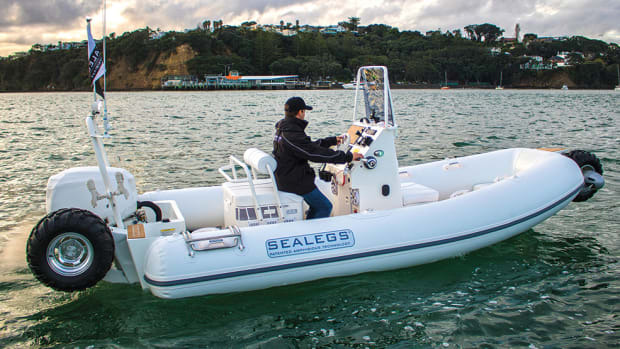 The patented Sea Eagle rigid inflatable keel provides sharper and more precise handling, allowing the 10.6 tender to track straight without being pushed off course by wind. 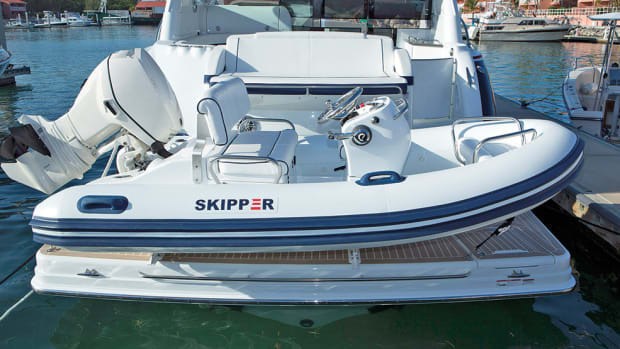 The optional Drop Stitch Floor Package reinforces the deck without requiring wood or aluminum floorboards and allows greater speeds. 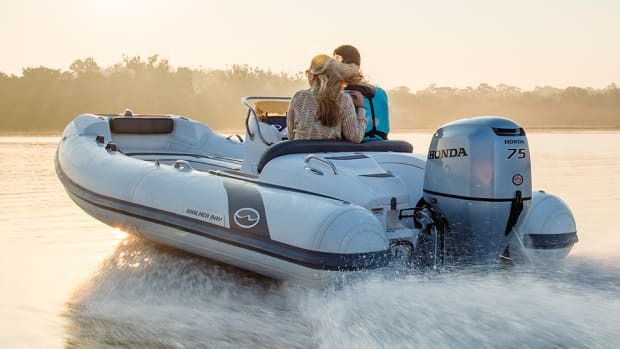 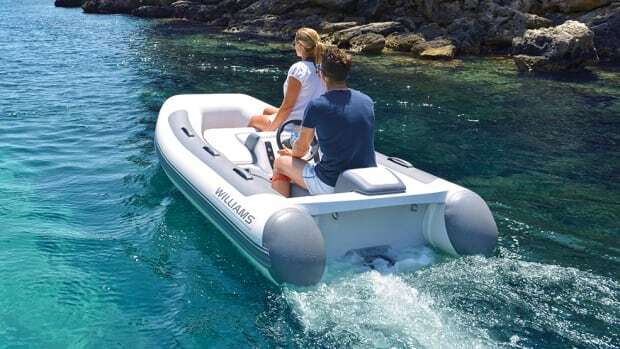 With a 15 horsepower outboard, the 10.6 reaches 14 knots with two adults or 9 knots with four adults. 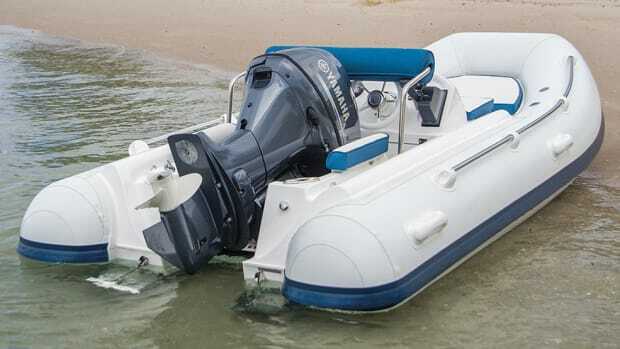 The weight of the tender with the inflatable floor is just 90 pounds. 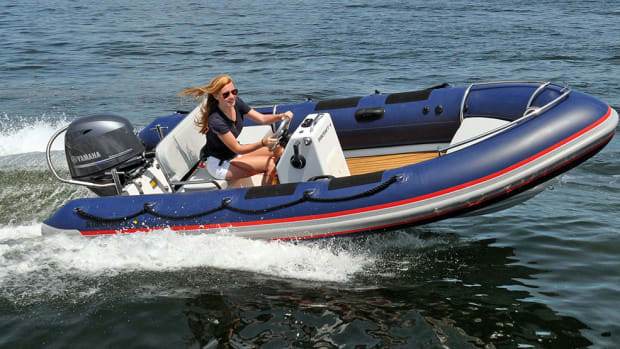 While it can be stowed fully inflated, it can also be deflated into a 46- by 24- by 10-inch shape, and re-inflated in just minutes.